Thomas Gamble, of Leetonia (Columbiana County), on Aug. 18 pleaded guilty in Franklin County Court of Common Pleas to attempted workers’ compensation fraud, a first-degree misdemeanor. Gamble, a former Perry Township police officer, was reportedly off of work from Perry Township, but was still working for his auto business. BWC’s special investigations unit found that Gamble had returned to work as an owner, manager and salesperson at the business around March 2012. Claims and medical documentation showed that Gamble concealed his employment from BWC for lost time benefits he was not entitled to receive. Gamble was sentenced to 90 days of incarceration, which was suspended for his $10,158.21 payment provided to BWC. Columbus – A Nelsonville (Athens County) chiropractor was ordered to pay more than $300,000 in restitution to the Ohio Bureau of Workers’ Compensation. Michael L. Brown pleaded guilty Aug. 22 in Franklin County Court of Common Pleas to one count of workers’ compensation fraud, a fourth-degree felony. BWC’s Special Investigations Department received allegations that Brown was billing for services not rendered, billing patient claims for dates of service when the patients were not at the office, and billing for treatment at times when his office – located at 1257 E. Canal St., Nelsonville – was closed. Multiple interviews confirmed both the allegations and that Brown controlled billing for the office. In June 2010, numerous pieces of evidence that substantiated the allegations were seized from Brown’s office. Records showed that patients were not at his office on days that Brown billed their claims for treatment; documents showed that multiple patient claims were billed on dates the office was closed; evidence was also discovered that Brown fabricated the amount of treatment patients received in order to receive a higher payment for services. Brown was ordered to pay $394,021.03 in restitution, which includes approximately $60,000 in investigative costs. He was sentenced to five years of probation. If he fails to comply with the terms of his probation, Brown could be sentenced to serve nine months in jail. Brown voluntarily decertified himself as a BWC health care provider. The case was prosecuted by the Ohio Attorney General’s office. To report suspected workers’ compensation fraud, call 1-800-644-6292 or visit bwc.ohio.gov. Check out our latest cases at ohiobwcfraud.wordpress.com, follow Fraud Fridays on Twitter @OhioBWCFraud, or join in the conversation at facebook.com/ohiobwcfraud. View and share BWC’s workers’ comp fraud awareness video on our YouTube channel. You might think that the Ohio Bureau of Workers’ Compensation (BWC) relies solely upon external sources to detect and report workers’ compensation fraud. We are fortunate, however, to have well-established strategies to educate and encourage BWC employees to recognize and report suspected fraud. Enter the BWC Fraud Finders program, which recognizes BWC employees for their roles in detecting and reporting potential workers’ compensation fraud. Since the mid-1990s, the program has annually generated hundreds of cases and millions of dollars in savings. During fiscal year (FY) 2014 alone, our internal fraud finders furnished allegations that resulted in 28.3 percent of our 2,055 cases closed last year, and identified a whopping $7.2 million in savings. BWC employees were the sources of 581 cases closed by BWC’s Special Investigations Department (SID) during FY 2014. From the start, we’ve conducted fraud red-flag training for our agency colleagues. These training sessions furnish claims, medical and employer service specialists with knowledge in detecting fraud and several means to most efficiently refer their allegations to our department. Several of these cases have already resulted in criminal convictions in 2014. 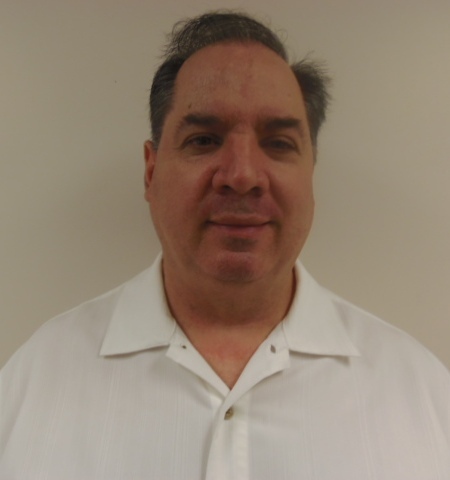 In a July 25 press release, we reported that David Delvecchio was convicted of one count of workers’ compensation fraud, a fifth-degree felony, after a BWC claims specialist furnished a fraud allegation to our department. Delvecchio was ordered to pay $26,580.77 in restitution to the BWC, court costs, and to continue mental health counseling. He was also sentenced to five years of basic supervision community control. Due to this particular internal fraud finder’s diligence and fraud referral, justice was served. Members of BWC’s SID intelligence unit, who are not eligible for the Fraud Finders program, also detect and refer fraud allegations. During FY 2014, intelligence unit professionals detected 1,072 fraud allegations, which resulted in the identification of $29.5 million in savings. Thank you to all of our fraud allegation sources – internal and external – for supporting our efforts to deter, detect and prosecute workers’ compensation fraud. Keep those tips coming! 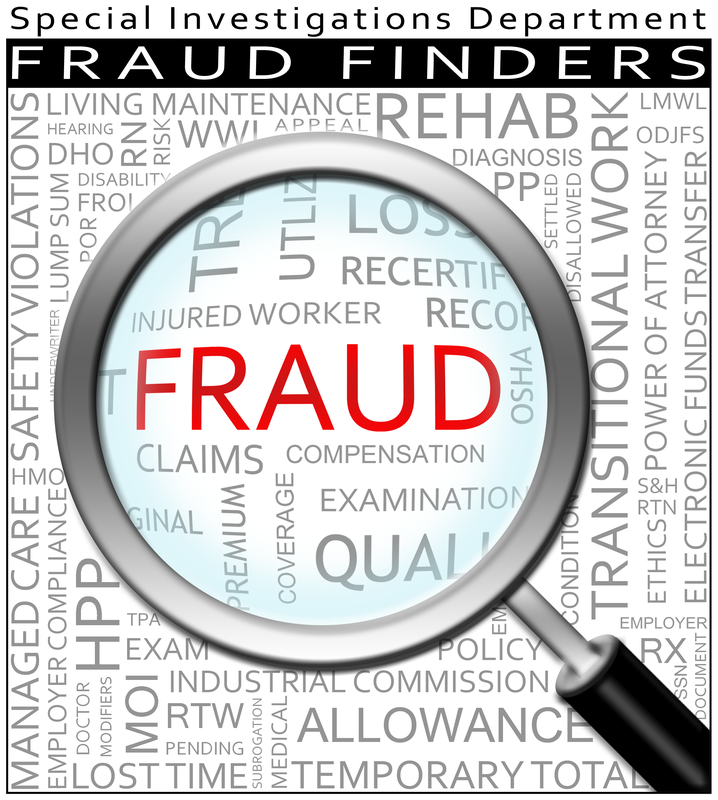 If you suspect workers’ compensation fraud, call 1-800-644-6292, visit bwc.ohio.gov, or visit facebook.com/ohiobwcfraud. We look into every allegation we receive. For more articles from our blog, please visit ohiobwcfraud.wordpress.com. Charles Mattox, of Newark (Licking County), pleaded guilty July 28 in Franklin County Court of Common Pleas to one count of workers’ compensation fraud, a first-degree misdemeanor. BWC’s special investigations unit received an allegation that Mattox was performing side jobs for cash payment while receiving workers’ compensation benefits. Investigators conducted surveillance, reviewed bank records and conducted interviews, all of which served as evidence to support the allegation. Mattox was sentenced to 90 days of incarceration, which was suspended for six months of community control. He must also pay $2,601.03 in restitution to BWC. In a Jan. 17 article, we spotlighted the Ohio Bureau of Workers’ Compensation (BWC) Special Investigations Department’s (SID) digital forensics unit (DFU). We described how BWC agents rely on the DFU to extract data from the devices criminals use while committing workers’ compensation fraud. We reported that in fiscal year (FY) 2013, DFU shattered its own record of success by processing more than 27 terabytes of data. Thus, in FY 2013, the unit more than doubled the level of performance it achieved during FY 2012. We’ve done it again! The most recent fiscal year was the DFU’s fifth consecutive record year. 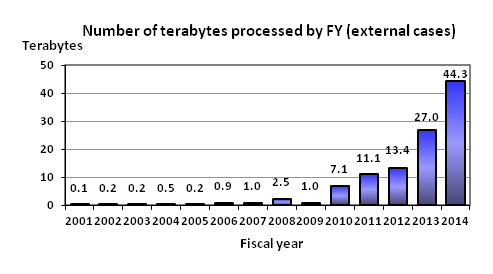 The unit previewed, imaged and seized more than 44.3 terabytes of data, 64.1 percent more than in FY 2013, and 527 percent more than in FY 2010, as shown in the figure, at right. The unit imaged and commenced analyzing more than 90 storage devices consisting of hard disks, optical disks and removable media devices in FY 2014. That’s equivalent to four times the printed content stored in the U.S. Library of Congress. As we noted in January, many criminals believe their level of technical knowledge will ensure that their actions remain hidden. However, using digital forensics, the DFU may be able to recover critical evidence. The DFU supports BWC agents through forensic imaging as well as analysis and processing of electronic data. Through their combined experience, specialized training and certification as Certified Forensic Computer Examiners, the digital forensic analysts of the DFU have proven themselves to be invaluable to SID’s operations. A case in point: In June 2014, a BWC agent asked DFU to assist the SID Fugitive Task Force in tracking down a fugitive who was thought to have relocated out of state. The subject had been indicted on felony counts of theft and workers’ compensation fraud in May 2013, but failed to appear at her arraignment. The court had issued a warrant for her arrest. A DFU analyst reviewed social media sites and located the subject in Birmingham, Alabama. The task force agent immediately contacted the Birmingham Police Department and the subject was arrested at her home that day. BWC agents congratulate their DFU colleagues for the unit’s record FY 2014 results. With the help of DFU SID was able to identify $60.1 million in savings over the past year, according to statistics outlined in the SID FY 2014 annual report. We thank you for your interest in learning more about a workers’ compensation system that serves hundreds of thousands of deserving, law-abiding citizens in the state of Ohio. Complete an online form or contact BWC’s toll-free fraud hotline, 1-800-644-6292, to report any suspicion of Ohio worker’s compensation fraud. Columbus – Ohio Bureau of Workers’ Compensation (BWC) Administrator/CEO Steve Buehrer announced today that 14 individuals were convicted of, or pleaded guilty to, charges related to defrauding Ohio’s workers’ compensation system in July 2014. These court actions are the result of investigations conducted by BWC’s Special Investigations Department (SID). Craig Vance (Orient, Pickaway County) was ordered to pay $54,030 in restitution in connection with working while receiving workplace injury benefits. He pleaded guilty July 24 in Franklin County Court of Common Pleas to one count of workers’ compensation fraud, a fifth-degree felony. BWC’s special investigations unit received an allegation that Vance was working while receiving workers’ compensation benefits. Multiple undercover operations were conducted, Vance’s records were reviewed and several customers were interviewed; these sources revealed that Vance was operating his own auto mechanic shop from his residence while receiving BWC benefits. In addition to restitution, Vance was also sentenced to serve 11 months in prison, but the prison sentence was suspended for a five-year term of community control with basic supervision. 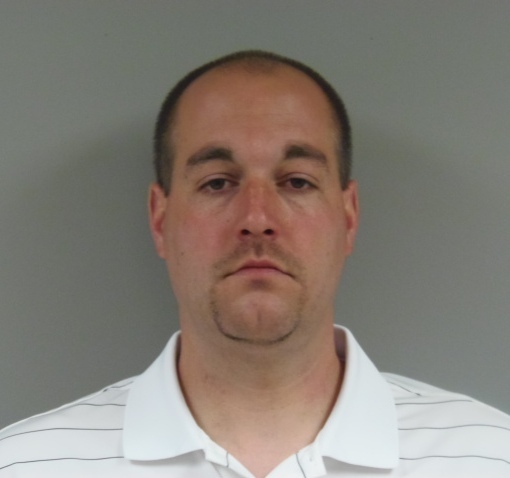 Patrick Woods (New Carlisle, Clark County) was ordered to pay $19,739 in restitution to BWC in connection with working while receiving workplace injury benefits. Formerly of Chillicothe (Ross County), Woods pleaded guilty June 5 in Ross County Court of Common Pleas to one count of workers’ compensation fraud, a fifth-degree felony, and was sentenced July 17. BWC’s special investigations unit received an allegation that Woods was repairing heating and cooling units in hotels while receiving workers’ compensation benefits. Investigators reviewed records and conducted business interviews, all of which proved Woods was working as a self-employed HVAC technician since September 2008 while receiving benefits, but not reporting this work activity to BWC. In addition to restitution, Woods was sentenced to serve 11 months through the Ohio Department of Rehabilitation and Corrections, which was suspended. He was placed on three years of community control in lieu of prison time. Woods was ordered to serve 21 days in jail intermittently within six months. He was also ordered to perform 200 hours of community service within 12 months. Ashley Matheson (Centerville, Montgomery County) pleaded guilty July 14 in Montgomery County Court of Common Pleas to three counts of tampering with records, all third-degree felonies. She was sentenced to serve nine months for each charge to run concurrently with her prior charges in Miami and Greene counties. Matheson was already incarcerated at the Ohio Reformatory for Women. The case was referred to SID when it was revealed that Matheson filed a false claim with a false date of birth and social security number and a bogus employer. An investigation identified four false claims Matheson filed, indicating she was injured at four different companies that she was not employed by between 2009 and 2012 to obtain narcotics. Shannon Watson (Bethel, Brown County) pleaded guilty July 23 in Franklin County Common Pleas Court to one count of workers’ compensation fraud, a fifth-degree felony. Watson was found guilty and a pre-sentence investigation was ordered. SID received an allegation that Watson was working for a heating and cooling company while collecting disability. The investigation found that Watson returned to work for the company and collected more than $31,000 in workers’ compensation benefits between 2007 and 2009 while concurrently working. Watson is scheduled to be sentenced Sept. 19. David Sturgill (Columbus, Franklin County) pleaded guilty July 1 to one count of workers’ compensation fraud, a first-degree misdemeanor. He was sentenced to serve 180 days in jail. The jail-time was suspended for 36 months of community control, which could be extended up to 60 months. He was ordered to pay $5,000 in restitution and $2,000 in investigative costs. SID received an allegation that Sturgill was working while receiving BWC benefits. Multiple interviews were conducted, and records were reviewed; both confirmed the allegation. Investigators found Sturgill was working as an electrician, performing similar work as when he was injured. Terrance Gier II (Huber Heights, Montgomery County) pleaded guilty July 22 in Franklin County Court of Common Pleas to one count of workers’ compensation fraud, a first-degree misdemeanor. SID received an allegation that Gier was working while collecting benefits. Investigators found that Gier was performing odd jobs and maintenance between May and September 2011, and between April and June 2012 while receiving more than $8,400 in benefits from BWC. Gier was found guilty and a pre-sentence investigation was ordered. Gier is scheduled to be sentenced Sept. 3. Jennifer Haywood (Vandalia, Montgomery County) pleaded guilty July 17 in Franklin County Court of Common Pleas to one count of workers’ compensation fraud, a first-degree misdemeanor. Haywood was sentenced to 180 days in jail, which was suspended for two years of non-reporting community control. Haywood was also ordered to pay $5,220 in restitution – a minimum of $250 per month – to BWC. Using a cross match of data from another state agency, SID identified that Haywood may have earned wages from working jobs while collecting BWC disability benefits. Investigators found that Haywood returned to work at three separate employers between April and October 2012 while collecting $5,220 in BWC benefits. It happened again last month: Claimants were convicted of felonies and brought to justice after working for cash under the table while receiving lost time benefits from the Ohio Bureau of Workers’ Compensation (BWC). They knew they were not entitled to receive those benefits while working. They thought that by demanding their unsuspecting customers pay them only in cash, they would fly under our radar while eliminating physical evidence of their crime. Well, that “under the table” biz may seem like a plausible ploy, but it is mere malarkey. When a contracted laborer requests to be paid in cash (or by check made payable to someone else), the customer should be immediately suspicious. John Q. Public knows by intuition, if not experience, that a cash payment may be a laborer’s attempt to hide from the work performed. By requesting payment in cash the criminal invites, rather than avoids, scrutiny. Some dubious customers immediately contact BWC. They contact us online, by mail or by calling our fraud hotline at 1-800-644-6292. Other concerned customers may not know to contact us. However, when BWC Special Investigations Department agents approach them, they will be only too glad to tell us what they know. Typically, they even have documents (including written estimates, quotes and business cards), photos and video evidence of the work performed. And they can readily confirm the identity of the subject when shown a photo. This is how Shannon Rager was convicted and why he was sentenced to 12 months of community control and ordered to pay $2,376 in restitution and $1,000 in investigative costs to the BWC. In our July 9 press release, we reported that “several witnesses confirmed that Rager was working as a tow truck driver and mechanic” during our investigation. The cash may be under the table, but the customers are not. Their signed statements are compelling evidence in court. If you are suspicious of any request for cash business transactions in Ohio, please let us know. We will ensure the contracted laborer is not scamming BWC! 1,000 Fraud Hotline calls in 6 months!